Located in Mammoth Lakes in the Inyo National Forest, the Mammoth Creek Inn offers a shuttle seasonal service to Mammoth/Yosemite Airport. Guests can relax in the on-site sauna. The bright and simply furnished rooms include dark hardwood furniture and a flat-screen TV with cable channels, an electronics charging station, and a refrigerator. Select units offer a kitchen which includes a coffee machine, a refrigerator, a microwave, a toaster, a stove top, an oven, and kitchenware. 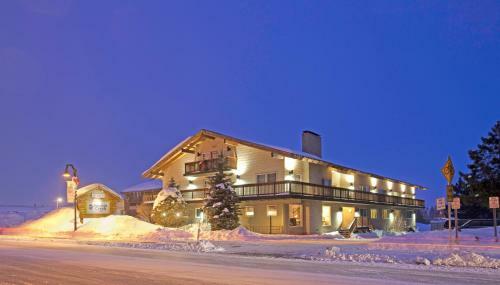 The lobby of this Mammoth Lakes hotel has a large fireplace and a continental breakfast is served every morning. There is also a billiards room with a flat-screen TV. Concierge services and free ski storage are available. 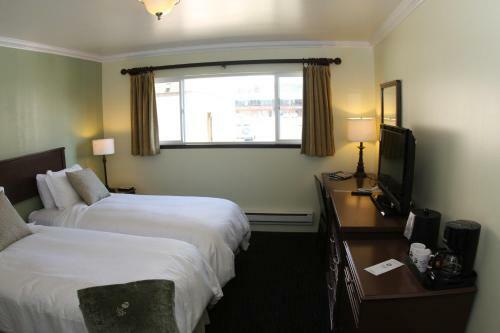 Mammoth Creek Inn is 2 minutes’ walk from the local RED LINE bus service. This complimentary service takes passengers along the Old Mammoth Road, Main Street and to Mammoth Mountain's Main Lodge. Mammoth Creek Inn also provides free transportation to/from Yosemite-Mammoth airport with at least 48 hours’ notice. Featuring a view of the mountains, this loft provides a full kitchen, two bathrooms and a seating area. A flat-screen cable TV, free Wi-Fi and an iPod docking station are also provided. Daň ve výši 13 % není v ceně. Městská daň ve výši 1 % není v ceně. Poplatek za služby rezortu ve výši 22,80 US$ za noc není v ceně.